Our candidates have exceptional journeys. Read their inspiring success stories about the paths they've walked and how their SEO experience has made a difference. 19 year old Joseph is the eldest of five siblings; he’s a twin and has three young siblings - triplets. Joseph and his siblings currently live in London with his mum who is a recently graduated nurse. This year, he begins a four-year degree in Chemical Engineering following an elective gap-year which he took to improve his grades and secure his desired course at UCL. At Greig City Academy, where he went to school, the average grades for students are low, but for his A-levels, Joseph was able to achieve 4As! He’s interested in Trading, Investment Banking and Asset Management and hopes to forge a career in Investment Banking in the future. How did you hear about SEO London and why did you apply? I remember the day I first heard about SEO. I met a cool guy at this Deloitte event we were both attending; I was in year 12 and he was in year 13. We started talking about careers and he mentioned SEO. That night, I remember going on his LinkedIN and scrolling through an endless list of experiences and achievements. That’s when I told myself that I was going to achieve what HE had achieved. I’m proud to say that I too have had a lot of experiences with SEO. I’ve been on the SEO Scholars programme as well as the Academy. In fact, I’ve enjoyed three stints at Barclays for the past 3 years. I also had a stint at Latham and Watkins in the team that covered Private Equity. I learned two things; that law wasn’t really for me, but perhaps at some point in the distant future, I’d like to do Private Equity. Knowing this early on is really important! The formative moment was at my first assessment centre - it was for Citi, and I did it through SEO. I saw how friendly one of the candidates was with the SEO staff. So though the entire event was very professional, I saw a human element to how SEO related to the people it aimed to help. And that’s the operative word - help. They’re not here to be stern or to browbeat you. Though I didn’t have expectations coming into the programme, this was one of the many surprises I’ve encountered. But quite apart from that, I think I just expected SEO to expand my horizons as I wanted to do something beyond just school and classwork. So perhaps in that vein, the Scholars Programme delivered, and then some. For that I’m really grateful. It’s been a really positive experience that’s made a difference in my life. In my gap year for example, I received a lot of support. SEO gave me motivation to really push myself and take that time to improve upon my grades. They also provided me with experiences to further enhance my prospects and gave me much needed exposure to the professional world. I can’t stress how useful this has been. Through SEO I’ve met so many people and I’ve done so many things. I’m definitely more well-rounded as a result. But more than that, I’ve become a lot more self-aware. Through these experiences you pick up on a lot of unspoken things like the proper way to write a professional email - we weren’t taught this at school. These soft-skills are typically distilled to public school students but not so much to state school students like me. I don’t think the value of this is emphasised enough. Finally, through my experience I’ve learned many valuable lessons. In a nutshell; I learned that I can do it. I’m now so empowered to go out in the world and make an impact. As a 125% person who knows no limits, I believe in hard work but I also know that not always enough. You need opportunity and SEOs helps you get it. 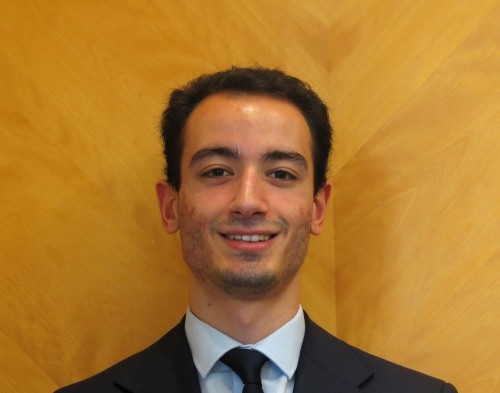 Adopted at just 20 days old by Italian parents following birth in Brazil, Marco, aged 25, grew up in Italy and lived there until 2010 before moving to England at age 19. After a period of youthful exuberance in London, he decided to reevaluate his options and improve his prospects. Whilst he’d been a strong academic performer with A*s at GCSE level, he couldn’t attend university without Level 3 qualifications, so he decided to return to Italy and complete his A-Level equivalent. He’d always enjoyed learning so this seemed a logical thing to do. Marco cites going to university as one of his greatest achievements. It was the culmination of a mighty effort; he worked during the day to pay his way through school, and had to study through the night. This was tough and because of extenuating circumstances, he was unable to attain the grades he was capable of, but still, he managed to gain admittance into University or Westminster for a BSc in Economics. Determined to prove himself, Marco began to aim high with the objective of making a name for himself in the corporate world. He currently has an offer from AON and has had multiple work experience stints at BP. This entire period taught him about drive, motivation and ambition. He discovered that harnessing these internal forces can lead one to accomplish things way beyond the imagination. But also crucial is the help of others - he notes innumerable tips, suggestions and help were pivotal in his attainment of competitive internship and placement offers. Above all, this entire period has taught him how to be more responsible. The years leading up to the present were for Marco invaluable in terms of building his confidence and in teaching him the value of making mistakes; mistakes are valuable learning experiences and he acknowledges how drastically his life has changed from when he first came to the UK, aged 19, to now, at 25. I stumbled upon SEO rather fortuitously whilst I was browsing for work experience opportunities on the internet - I was going into second year at uni. I found a page advertising SEO Summer Launchpad and I decided to apply. For the time I’ve been on the programme, I’ve done the SEO Summer Launchpad through which I got a year-long placement scheme at BP. Throughout my interactions with SEO’s dedicated team and in attending their programmes, my experiences have been exceeded, without a doubt. I came into it without much in the way of expectations but I would have never imagined having as many opportunities as I’ve had now. Suffice to say SEO has helped me a lot. I think the greatest impact has been academic and professional. To cite examples, I’ve received an offer from AON and I’ve done a year-long placement at BP. From a purely professional perspective, I now have a deep, almost intrinsic understanding of markets and it has allowed me to discover myself and what I enjoy. I also learned a great deal about my passion to interact with customers as well as my desire to work with mathematics. SEO allowed me to explore my interests in a professional setting to see what was really for me. Without SEO, I’m not sure I’d have discovered consulting, which I believe is what I’m most suited to. Personally speaking, the SEO programme helped me crystallize my values. It has also helped me think more seriously about giving back - it has amplified my desire to help others and it has given me the drive to take action and ‘just do it’. But more fundamentally, I think the experiences I've had with SEO allowed me to find my niche and I now have a sense of direction. There are plenty of takeaways and I think these will be useful to people who are thinking about joining SEO. Firstly, you have time. I think life can appear scary and because so many things compete for our time and attention, decisions can appear to have a finality which isn’t reflected in reality. It’s good to have an open mind and commit to finding what you want. Every experience is valuable, even if it teaches you about what you shouldn’t do. 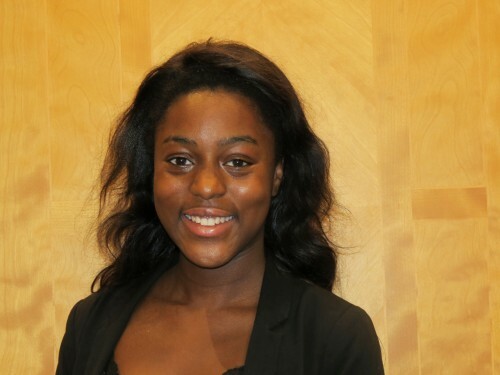 Mercedes is an Industrial Economics undergraduate at Nottingham. She lives in Cambridgeshire with her parents; her dad is a lawyer and her mum is an admin worker. She attended a good state school where academic excellence was valued. Alongside her parents’ encouragement, she developed a desire to strive for improvement. This has materialised into a sense of determination and willpower which she shares with her peer group. Looking into the future, Mercedes sees herself working in financial markets. Aside from Banking, she’s also looking at financial journalism. This stems from her passion for news and knowing what’s going on in the world. She also hopes to set up a business in the future. I first heard about SEO at a women-only work experience programme with HSBC. An upcoming SEO event was brought up in conversation and it piqued my interest. Being from the countryside where Banking careers are rarely talked about, this was all new to me. After discovering a little bit more about SEO, I applied! Following acceptance to SEO, I did the First Year Fast Track, which I highly recommend. I got to hear from many different banks, some I’d never heard of. I had many conversations with people in the industry and through that I realised that I was suited to Markets. Aside from that, I also learned about what made each firm different, which helped massively with my cover letter. This worked in my favour because it showed that I’d done my homework! Being female and black in a white-male dominated field can be difficult from an access perspective. The help and success I’ve had with SEO reassures me that SEO’s work is breaking down those barriers and as such, I remain a staunch advocate. I’m always encouraging people to apply! Personally, I had high expectations coming into the SEO programme because I knew what my friends had achieved through it. Yet they were exceeded! I was amazed at the help I got with my interviews. I received practice interview questions which really helped put my mind at ease. Suffice to say in spite of my high expectations, SEO still managed to over deliver! Truthfully, without SEO, I wouldn’t be in the position that I’m in both professionally and personally. It’s such a powerful network. Also, going through the SEO programme taught me that I have far more potential than I thought. I never expected to have an internship at Goldman Sachs. That said, I want to make it clear that SEO works to provide opportunity. The onus is on you to seize and maximise it. For example, I did not go out at all during Fresher’s. I did all my Spring applications whilst everyone was partying, but I didn’t feel I was missing out because for me, my future was more important. Because of that sacrifice, I got many interviews which through even more work, turned into offers. For my Goldman interview, I did lots of research; I knew their stock price, I knew the state of the markets - exchange rates for example - and I followed many different news stories. You have to do the work; SEO is there to ensure that you’re rewarded! Adele is the first of 3 children born to two teachers. She attended a good state secondary school in France where she got on very well with her teachers and was pushed to apply to France’s top university. She was successful in securing a place at The Sorbonne where she graduated with a Bachelor of Geography and a Bachelor of History. She then continued on to Sciences Po where she read a Master’s in Public Law and Geography. As she did her Master’s, she recalls experiencing difficulties which prevented her from fully focussing on her future. At one point, she had to balance her studies alongside a 20-hour a week job. This proved challenging, but she was able to complete her studies and move to London where she started working as a financial head-hunter. This experience has since inspired her to go from being the recruiter to the one being recruited. She’s currently undergoing a Master’s in International Wealth management at ESCP in Paris, in the hope of attaining a graduate position in Asset Management at an Investment Bank. I first heard about SEO London through a friend whose story inspired me to apply. 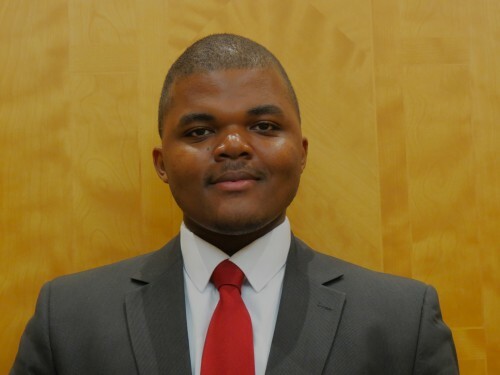 He hadn’t completed any work experience in finance before joining SEO but with their help he managed to get a summer internship and a graduate position at Barclays in Sales and Trading. Knowing I was in a similar position, I decided to apply. For me, the opportunity to learn, to meet a diverse range of people sharing the same goals and aspirations drew me to SEO London. Now that I’ve gone through the programme, it’s clear that my expectations have been exceeded. I loved the diverse range of presentations by great speakers. It’s one thing to read about their experiences, but hearing from them is really powerful. I also felt that they were really trying to help us; there was a strong sense of community within the SEO network and to know that I’ll be a part of this community gives me a sense of pride. 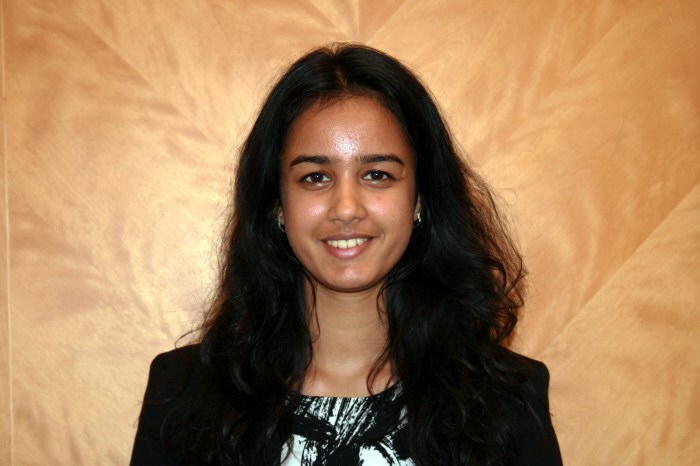 Drishti is a second-year Economics student at UCL. Her family moved to the UK when she was ten. Her Dad’s a Software Engineer and her mum teaches Hindi at a local private school. She has a younger brother who’s pursuing Computer Science. 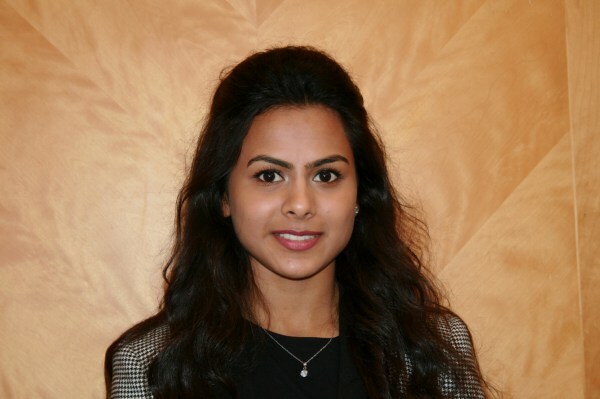 Having excelled in Maths at Dr Challoners School, where she completed her Sixth Form education, she decided to study Economics to pursue her love for maths with real world application. She’s looking to secure a summer internship in Equity Research or Management Consultancy. Her ideal role would be one which combines knowledge of the market with a sales persona. After attending many events with the Economics and Finance society, I was approached by the Vice President of the society who noticed that I had a passion and enthusiasm for finance. He told me about SEO London and I applied for the First Year Fast Track programme which I was fortunate enough to be accepted on. I found it intense but rewarding at the same time. It was the first time I’d been involved with a diversity initiative and if I’m totally honest, I’d been oblivious to diversity issues regarding gender and ethnicity before this. My experiences with SEO have definitely made a huge difference in my life. I realised my experiences to date had not been representative of the current issues and learned a lot about myself and what field is right for me. I’ll also take away more contacts, a greater sense of perspective and openness. This specifically links to IBD - I now have a greater appreciation for what they do and why it’s important. Oxford Economics and Management undergraduate Haseem lives in London with his family. His parents both came over from Pakistan to settle in the UK and have lived in London ever since. His dad is a recently retired businessman who formerly ran a small photocopying business. His mum studied Economics, Maths and Statistics at the University of Peshawar and helped with the bookkeeping of the business. She is also a part time beautician. His brother runs a marketing consultancy, which he set up after completing a Business Management Degree at the University of East Anglia. Before starting at Oxford, Haseem went to Ilford County grammar, a state school in Essex. In his first year at university, he secured 10 investment banking spring week offers. 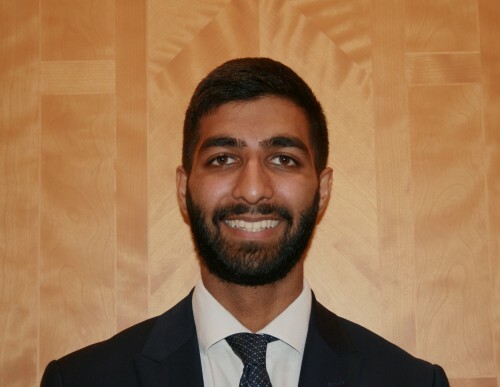 Now going into his second year, he holds an offer for a summer internship at Goldman Sachs on the derivatives desk in Private Wealth Management. His immediate goal is to convert his summer internship into a full-time role. Looking further into the future, Haseem aims to work hard and set himself up for early retirement, whilst also building up his network and skill set in order to transition into Islamic Banking. As a devout Muslim, he wants to use his skills to give back to his religious community. I first heard about SEO through my sister who’s at the LSE. The reason I applied was because I wanted to get exposure; that is, to meet with firms and their employees. I’d seen the firms that SEO worked with and I thought that working with them would be a great opportunity, so I signed up for the SEO scholars programme in Year 12. I also did the First Year Fast Track and what stood out for me immediately was how much help I received. I remember sending Kutchi, who is part of the SEO Investment Banking team, my Goldman cover letter which was in excess of the 300 word limit. She sent it back with 50 words cut out and I didn’t even notice! Alongside my other experiences on the SEO programme, there’s no question that my expectations have been exceeded. For example, Zubair, another member of the SEO team, really helped me with my interview preparation. For Morgan Stanley and BAML, 90% of the interview questions SEO asked me came up again! I was also impressed by the breadth of the network - SEO alumni are everywhere. Towards the end of my Goldman Spring Week, I had to choose two desks for my summer internship. It was an agonising decision - perhaps the hardest I’ve ever had to make - and I turned to SEO for advice. They put me in touch with an alumnus who gave me advice and this helped me make a decision. SEO does more than just help people get internships. Even when I’d got an offer, SEO were still looking after me to make sure I made the right choice. That definitely stood out! I feel that SEO has made a difference in my life. I think the SEO experience sets you on an altogether different path from the one that would have unfolded without it, and that’s very powerful. As for lessons I take from my SEO experience, I’d say I now have a higher estimation of my potential. There have been times when I’ve doubted myself. I would pursue goals and opportunities without fully backing myself. Yet as time went on, I started to get more and more confident, especially with the help I received from SEO. The results I got confirmed that I had more capability than I previously thought. After getting interviewed by 10 different firms and getting 10 offers, I’m much more confident about how I come across in person. What did you do to get 10 Spring Week offers? I started by being super-organised. My aim was to submit applications as early as possible, so I created an excel spreadsheet with all the banks I wanted to apply to; the opening dates, the deadlines, the divisions, the motivational questions and the different online tests. I knew when the SEO sponsor firms were opening for application so I’d prepare my application and send them to Zubair or Kutchi for them to review. I also structured my cover letter for recycling: The bits about why I wanted to do banking and why I was an ideal candidate could be recycled. It meant I only had to spend time on the section detailing why I wanted to work for that particular bank. For this, I researched their results; what their strengths are; their corporate responsibilities and how they linked to my values and anything in the news, especially if they’d been involved in a deal. Whilst all this took a lot of time, I didn’t need to spend as much time as other people did writing them from scratch! I’d always send my cover letters to SEO for review and this prep meant that I could do an application in a few hours when it took others a day or more. I also made a point to do my applications before university because I had more time to apply. This worked out well because when I started university, I’d already done 11 out of 14 applications. Another advantage I had is that I didn’t do this alone. I took a gap year but some of my friends didn’t. This meant I had a support system of people who’d gone through the process before. I worked on my applications with some of my friends who’d already succeeded and their advice proved invaluable. This combined with SEO’s invaluable training and support helped me submit strong applications which resulted in the offers that I got. But I really want to emphasise that this takes work. SEO is there to ensure that certain barriers don’t get in the way of you getting the results you deserve from the work you put in. But you have to put in the work! Second-year Sheffield University Economics student Nathaniel is an inspiring and impressive SEO candidate. His story demonstrates what is achievable through hard work and determination. He grew up in a single parent background, living with his mum and three of his siblings. He remembers moving around a lot and changing schools frequently. Very early on, he developed a desire to succeed; he got a part-time job in his teens to help out at home. 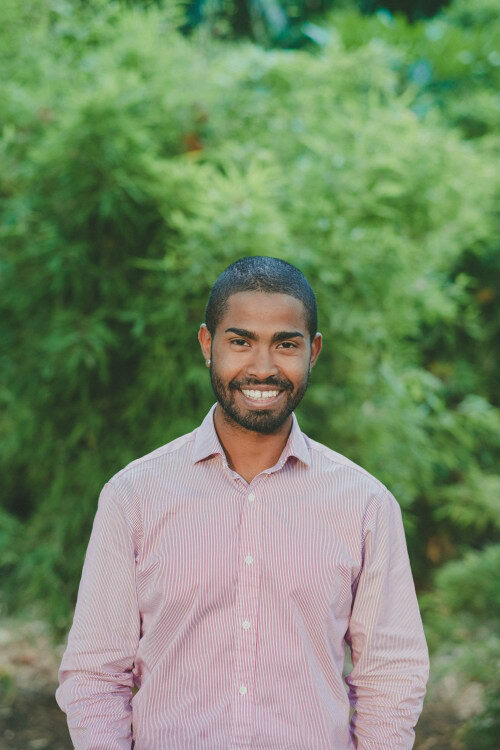 With three spring weeks from Bank of America Merrill Lynch, Nomura and Blackrock under his belt, Nathaniel’s experience shows how SEO can help those from under-represented backgrounds. I first heard about SEO London in a chance encounter with a member of an online forum just before starting university. I’d always wanted to work in finance as an analyst - I just wasn’t sure about the area of finance. This guy had an impressive resume with many week-long work experience stints at some of the biggest and most prestigious investment banks. Having heard how SEO London had made all this possible, I immediately applied to join SEO because I wanted to emulate his success. With SEO, I’ve done the First Year Fast Track as well as the recent SEO Banking Academy. I wasn’t sure what to expect going into it, but the First Year Fast Track was especially beneficial; what I learned there filtered into my Spring Week success. That said, I put in a lot of work. I dedicated as much time as I could towards my applications. I shunned going out; I’d rush back from lectures to continue - I was just so determined. That’s probably the most important ingredient: work ethic. At the Fast-Track, I obtained first-hand accounts of working life in the financial industry. I gained a more intimate knowledge of the various roles in finance and specifically, in investment banking. I also attended multiple insight days at leading institutions and learned how to deliver presentations and stock pitches. But above all, I met really good people, many of whom have become my friends. Also, my SEO experience has allowed me to expand my network and build an extensive network of contacts. And best of all? We’ve helped each other with applications, exchanging valuable tips and supporting each other throughout the journey. This I feel has been critical in the success I’ve had. I feel that SEO has already made a huge difference in my life, especially from a professional standpoint as I’m now well on the path to a career in Investment Banking. I recognise that my background could have led my life along a trajectory quite unlike the one I’m currently on. SEO provided the opportunities which helped facilitate that shift. Looking ahead, I feel much more certain about my future; I have a sense of clarity which I did not possess prior to joining SEO London. More importantly, my success has given me confidence and self-belief which I’ll take with me moving forward! 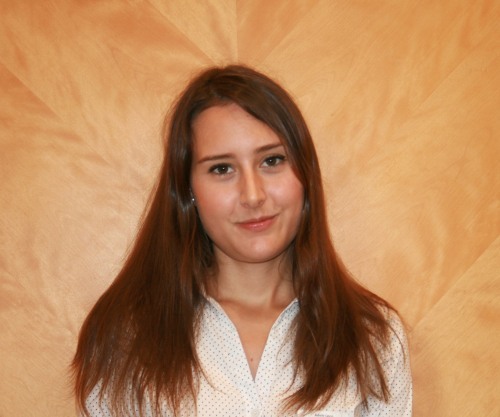 Aspiring Trader Rebecca is a University of Surrey Economics and Finance student. Her parents are in the medical industry - her dad is a doctor and her mum is a nurse. Her desire to go into Finance came from her brother - a Warwick mathematician who also wants to go into Investment Banking. She’s always looked up to him and watching him excel academically motivated her to do the same. Born in Scotland, Rebecca and her family moved around a lot, but she attended secondary school at Manchester High School for Girls. From there she moved to Saint John Payne School. For A-Level, she was at Chelmsford County High School for girls. She treasures her educational experience, having been to state, grammar and independent schools. She currently has her sights set on becoming a trader at a bulge bracket Investment Bank with the intention of developing her career and rising through the ranks. I heard about SEO London through friends, just before I started university. I submitted my application for First Year Fast Track and got a call letting me know I’d been selected. In the same call they were kind enough to give me advice before my Nomura Spring Week interview and I was lucky enough to get it. Through the SEO First Year Fast Track I got a place on the Women’s Emerging Program at Nomura; it’s a two-week long programme. I was assigned a desk with 5 screens and it was up to us to go around various desks and ask if we could shadow. We were given lots of exercises to do and one of them was a 10 minute stock-pitch! I also did a BP-IST insight day and prior to that, I’d had a week’s summer experience with BP. SEO has really built my confidence. I used to be really shy and I’d never put my hand up to answer a question. I was encouraged to get more involved. I was pulled aside and reassured that this was a safe space. Now I feel like I can speak in front of people. I had to deliver a speech to become Head of Investment for the Economics Society - something I would have never done a year ago - and I actually got it! I think I’ve gained more of a passion to pursue a career within trading. I know that currently there are many initiatives to get more women into trading. I’ve received nothing but encouragement and support from SEO and even been introduced to traders from Citi. 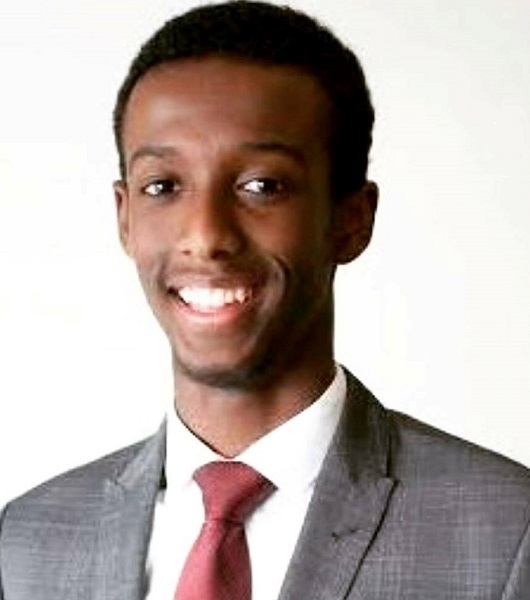 Usama Yusuf maximised the opportunities afforded by the SEO Scholars programme during his time at secondary school. As a result, he has secured a fully-funded university scholarship to study at University College London and has just completed the first year of his undergraduate studies. The first time I came across SEO was at school when my school teacher told us about this programme called SEO Scholars. He mentioned that the benefits of the programme included mentoring, help with university applications, CVs and cover letters, possible university insight trips, and even the opportunity to gain some work experience. As a 15-year-old, who just wanted to do all he could to better his future, I was sold on the idea and applied. I can now safely say, upon reflection, that applying to SEO Scholars was one of the best decisions of my life. With the help and support of SEO, during my time on the Scholars programme I managed to complete work experience at various institutions; I did 3 days at Barclays, one week at Freshfields Bruckhaus Deringer and 4 weeks at Citi. On top of the work experience, I went to corporate insight days at KPMG and Goldman Sachs. I went to university open days at Southampton and Cambridge and even had the opportunity to bowl with bankers from Goldman Sachs at a charity event. All of those experiences and all of those different learning opportunities were well worth the 30 minutes it took me to apply for the programme. If it wasn’t for the help SEO had given me over the years, and the opportunity to be able to dream big as a result of the different exposures I got whilst I was on the SEO scholars programme, I would have not gotten into UCL and I would have not have secured a full scholarship from Credit Suisse. SEO London offers fantastic programmes with fantastic opportunities and systems in place to ensure that you gain the most from your time on the all the different projects they offer. To top it off, it has amazing staff who care deeply about your success and your journey. I would recommend SEO London to all young people and would strongly encourage them to apply! Have you got a story you'd like to share?